Lyme disease is not only evolving, but increasing dramatically in the United States. Especially in the Northeast. New manifestations of Lyme's later stages and new post infectious sequelae are evolving. One of these is the arthritic symptoms associated with Lyme that can occur a few months to several years after infection. 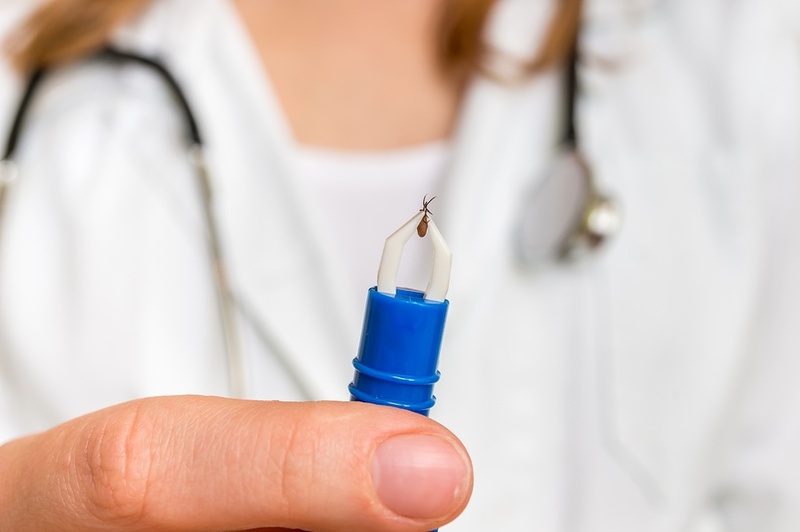 Published in a recent issue of Arthritis and Rheumatology, doctors reported that systemic autoimminue joint diseases may follow Lyme infection. "Genetics is the smoking gun, environment pulls the trigger." Lyme as well as other infections turn genes on. Did you know that CMV CytoMeglio Virus can trigger Rheumatoid Arthritis? In a recent issue of Arthritis and Rheumatology, Dr. Steere and colleagues reported that systemic autoimmune joint diseases may follow Lyme infection.The team of doctors at Massachusetts General Hospital study patient records from over 13 years finding and identifying a group of patients with new-onset autoimmune joint disorder that developing a median of 4 months after Lyme disease infection, usually manifested by erthema migrans. 50 percent of people with Lyme do not have a bull's eye rash or any erythema migrans. The need for different treatment approaches highlights the importance of distinguishing between 3 possibilities when patients present with frank joint swelling, in the context of Lyme disease -- Lyme arthritis (active B. burgdorferi infection in joints), post infectious Lyme arthritis (also known as antibiotic-refractory Lyme synovitis), and another form of inflammatory arthritis following Lyme disease. B. burdorferi infection triggers autoimmune arthritis syndrome, and often occurs in the same time frame that Lyme arthritis may occur. Lyme arthritis is sometimes followed by antibiotic-refractory Lyme arthritis in which autoimmunity is thought to play a role according to Dr. Steere. The spirochetes create a biofilm which is antibiotic resistant over time from treatment. “A systemic autoimmune joint disorder related to Lyme disease usually follows antibiotic-treated erythema migrans, which would ordinarily prevent the occurrence of Lyme arthritis." We offer prolozone injections into large joints to stop progression of disease and to rebuild damaged cartilage. Lyme-infected ticks transmit Lyme and a host of co-infections that keep patients chronically ill long after initial treatments. Drugs used for Lyme are not as effective for co-infections long-term. We test and treat Lyme and co-infections. Ozone Therapy is a safe and effective treatment for Lyme and co-infections. Let's discuss which Lyme test is the best test for you. You have testing choices and treatment options. We have specialized medicines from Germany for Lyme disease and co-infections. No matter what your pathogen is named we are the first and only I.V. ozone therapy clinic in Rockland County. I.V. Ozone is safe and effective at eliminating viruses, bacterium and fungal infections. If you've tried everything else it's time to try Ozone! All treatments are MD ordered and FNP administered in NYS. If you have been bitten by a tick and/or believe you may have Lyme disease we can offer free screening for Lyme disease if you have insurance. Lyme screenings can typically run you several hundred dollars. If you have insurance, please call us to find out if you are eligible for a full Lyme panel of blood labs. Arvikar SL, Crowley JT, Sulka KB, et al. Autoimmune arthritides, rheumatoid arthritis, psoriatic arthritis, or peripheral spondyloarthritis following Lyme disease. Arthritis & Rheumatology. 2017; 69:194-202. Steere AC, Strie F, Wormser GP, et al. Primer: Lyme borreliosis. Nat Rev Dis Primers. 2016;2:1-18. Berende A, ter Hofstede HJM, Vos FJ, et al. Randomized trial of longer-term therapy for symptoms attributed to Lyme disease. N Engl J Med. 2016;374:1209-1220. Klempner MS, Hu LT, Evans J, et al. Two controlled trials of antibiotic treatment in patients with persistent symptoms and a history of Lyme disease. N Engl J Med. 2001;345:85-92.